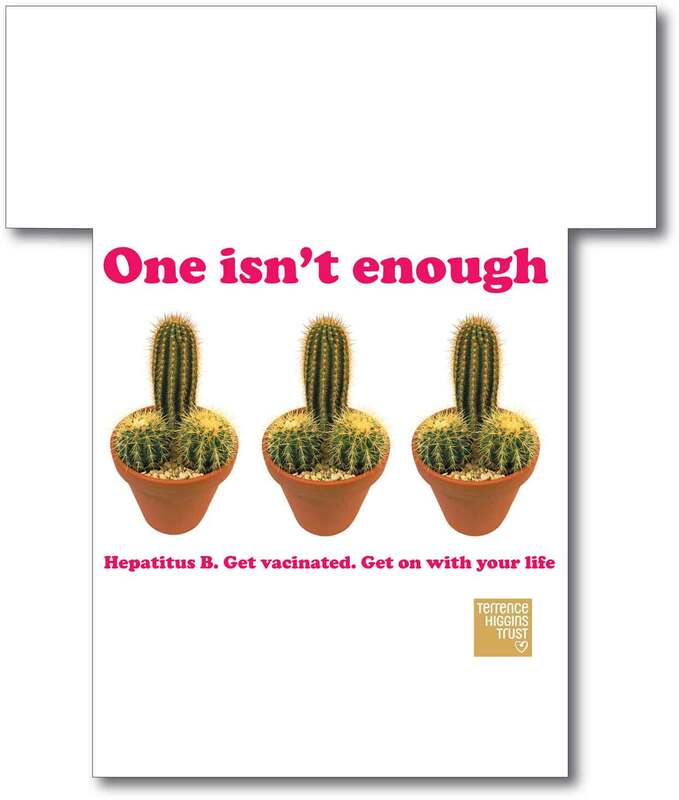 Hepatitis B is a serious health issue - but the great things is, you can be vaccinated against it. 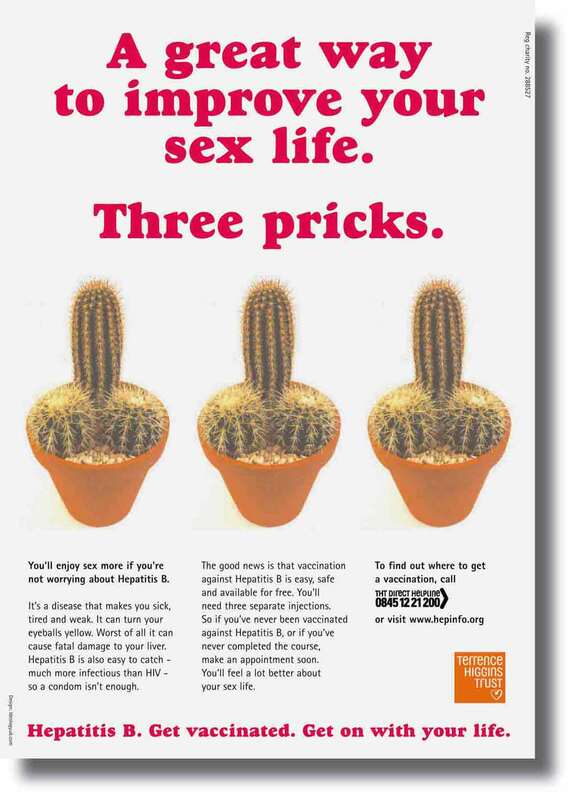 The Terence Higgins Trust came to Ideology because they felt this crucial message was not getting across to gay men - a group badly affected by the condition. The question was how to put across this life saving message in a memorable way, without sounding authoritarian and maiden auntish? 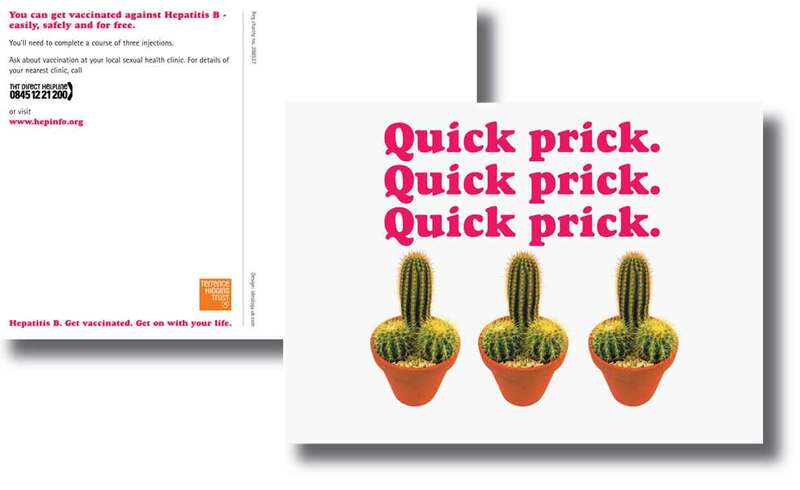 Humour was surely the key and so we came up with an up front and cheeky campaign that could not fail to grab the attention of the gay men it was aimed at. 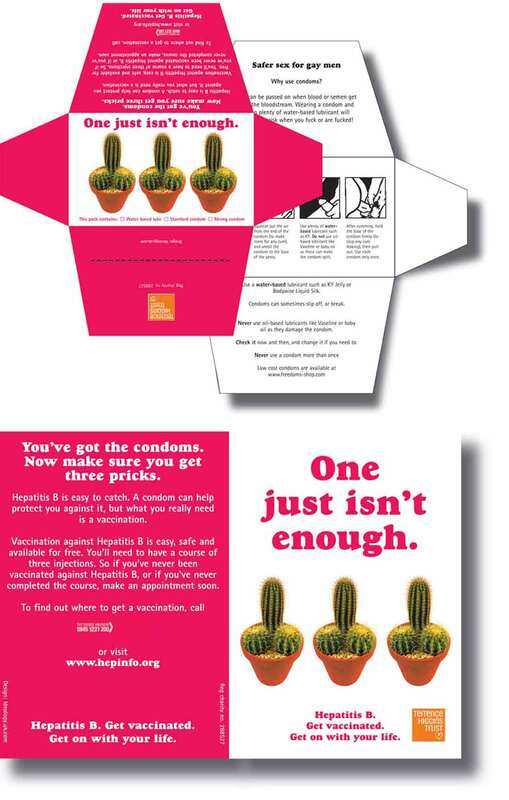 The strong campaign imagery and message was rolled out across posters, postcards, tea shirts and condom packs and distributed in health centres, bars and clubs. The result - a hugely successful campaign, market tested and proved to have worked.